This is high quality Velvet Ribbon at an unbelievable price! 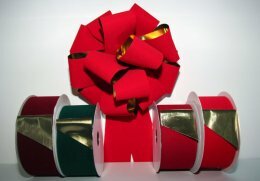 Use the Velvet Ribbon to create hand-tied bows to enhance your holiday decorating. Velvet Ribbon is a Christmas tradition - use it to decorate wreaths, mailboxes, fence posts & don't forget the Christmas tree. Perfect for either Indoor or Outdoor Use & Holiday Bows! 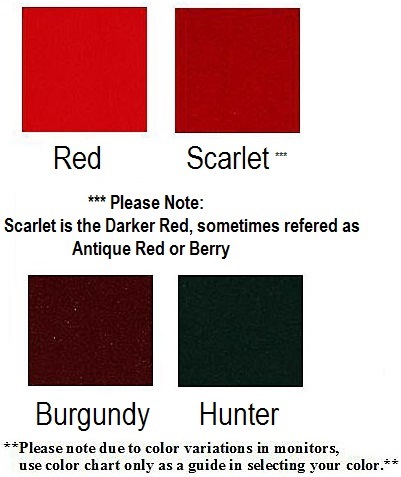 Widths: 2 1/2", 4" & 6"
....Please select Burgundy Red Hunter Green .